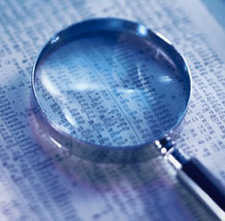 Rapid Due Diligence is the investigation and verification of the details of a particular property. Sometimes we find a valuable permit or zoning has expired. Other times we find the zoning or permitting is in good standing but they are far better than what can be obtained today. Rapid Due Diligence quickly determines a project's suitability for immediate or future development and uncovers important information your client NEEDS TO KNOW about a whole range of development issues pertaining to their subject property. Based on our over 20 years of development expertise, we are able to quickly identify the issues that make deals a �homerun� or a �run away�. Realtors often utilize our services to help negotiate either a lower purchase price or extend the closing to assist the buyer. We uncover the very best attributes of your project and work hard find solutions when there is an issue. There is no cost for your initial consultation!